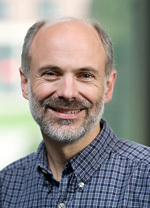 Home > Departments > Faculty > Justin Thackeray Ph.D. The cells within most multicellular organisms are typically highly specialized. How cells adopt their specialized roles and take their proper place in the adult organism is far from being fully understood. What is clear however, is that alterations in the pathways that determine cell fate are a major cause of human disease. With the arrival of complete genome sequences for all the major model organisms over the last ten years or so, we have learned just how similar these models systems are to us. This underscores the value of studying development in simpler organisms. My laboratory uses a combination of genetics and cellular/molecular biology to understand the cellular pathways involved in development of the eye and wing in the fruit fly Drosophila melanogaster. 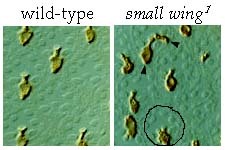 Both tissues are dispensible, and there is a unique set of genetic tools in Drosophila that make it an ideal model in which to study development. Much of our work has been on the phospholipase C gamma encoded by the gene small wing, but more recently we have been extending our studies to other genes that operate in in concert with PLC-gamma. I am also interested in genome evolution. A curious aspect of most genes in eukaryotes is the presence of introns that split the protein coding sequence into sometimes dozens of pieces. There has been considerable debate about how and when introns appeared; I am investigating this question by tracking the emergence of introns within the PLC gene family among plants, fungi and animals. My current teaching includes Introductory Biology, Genetics, Biochemistry, Biological Clocks and the graduate level course Seminar in Genetics. 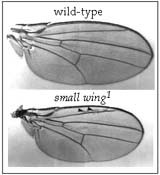 2001-2005 NIH AREA grant R15 GM55883-02, $140,740 for "Genetic analysis of the small wing PLC-gamma in Drosophila" (competetive renewal of 97-01 AREA grant). 2000-2001 NSF MUE grant DBI-0070241, $42,454 for "A microscopy imaging system for the Department of Biology, Clark University" (co-PI with D. Hibbett, D. Larochelle and T. Lyerla). 1997-2001 NIH AREA grant R15 GM55883-01, $101,470 for "Genetic analysis of the small wing PLC-gamma in Drosophila". Abbeyquaye, T., Raabe, T. and Thackeray, J.R. (2003). Evolution of Gab family adaptor proteins. Gene, 311:43-50. Mankidy, R., Hastings, J. and Thackeray, J.R. (2003). Distinct PLC-gamma-dependent signaling pathways in the Drosophila eye and wing are revealed by a new small wing allele. Genetics, 164:553-563. Manning, C., Mathews, W., Fico, L. and Thackeray, J.R. (2003). PLC-gamma contains introns shared by many SH2 domains in unrelated proteins. Genetics, 164:433-442. Powe, A.C. Jr., Strathdee, D., Cutforth,T., D'Souza-Correia, T., Gaines, P., Thackeray, J., Carlson, J. and Gaul, U. (1999). In vivo functional analysis of Drosophila Gap1: involvement of Ca2+ and IP4 regulation. Mech. Dev. 81(1-2):89-101. Thackeray, J.R., P.C. Gaines, P. Ebert, and J.C. Carlson. (1998). small wing encodes a phospholipase C-gamma that acts as a negative regulator of R7 development in Drosophila. Development, 125: 5033-5042. Thackeray, J. R. and B. Ganetzky. (1995). Conserved alternative splicing patterns and splicing signals in the Drosophila sodium channel gene para. Genetics, 141: 203-214. Thackeray, J. R. and B. Ganetzky. (1994). Developmentally regulated alternative splicing generates a complex array of para sodium channel isoforms in Drosophila. J. Neurosci. 14: 2569-2578.